Cyndy and I watch golf tournaments on the weekends, particularly this time of year. Baseball, rodeo, and horse races are over and we rarely watch football. I play disc golf, but they do not have the sport on television. 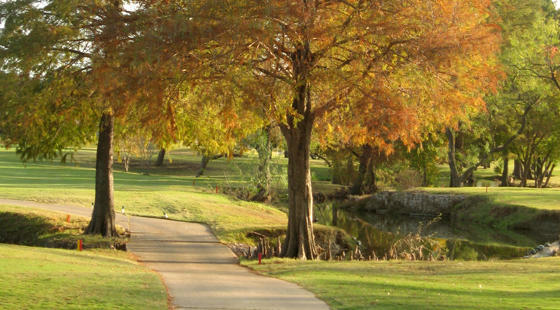 So we watch golf - the scenery is beautiful and we do not have to pay constant attention. On Saturday, we were while watching the OHL Classic at Mayakoba - in Mexico if you did not know that already. It rained for nearly the entire round. But, without lightning present, the round continued. There were times when the rain let up some and times when they had to simply stand under the umbrellas. I need to interject the fact that sports announcers drive me crazy - as I’m sure they do you. If sports are as special as they are purported to be, then they should be treated as such by the announcers and reporters. “Hat trick” was started with hockey and they should be allowed to keep it. An inning in a baseball game is not a “frame.” That should belong to bowling. You get where I’m going. Part of the problem is that they do not realize that they could just be quiet and let us watch the game and we would be happy. I do not need the announcers to describe the game to me while I am watching it. The only problem with the review system in baseball is the incessant replaying of the play in question from every angle possible. I’m quite surprised we cannot get a satellite view - not that it would tell us much. And all the dialogue among the announcers when, in the end, their opinion does not matter. Okay, so I’m watching golf. I’m also working and so on, so I do not have to listen to the continual babbling of the announcers. But I never completely get away clean, as it were. Someone hit a nice drive and the announcer said that the shot was “quite tasty.” Which was not the only time, I’m sorry to say. I ask you, how do you taste a golf shot? But wait, as they say in infomercials, there’s more. As I was saying, it rained for almost the entire round. Fresh towels would be wet by the next hole. The announcers have “beaten that dead horse” the entire round. And yet, nearing the end of the round - get this - one announcer turns to another and says: “I think their grips might be getting wet!” Need I say more? I was in Fort Worth this past weekend with J.D. at TCU for a baseball camp. We were driving from one field to another and were driving down W. Berry from TCU. Coming down the hill, I spotted a man and a woman waving from a concrete platform that turned out to be the entrance to a church. They were not waving “come here” like parking attendants, but they were using a modified princess wave. Unfortunately, their signage was not sufficient for me to see the name quickly as I drove by. And time did not permit stopping to take a picture. As I told J.D. later, if we hadn’t been on a schedule, I would have stopped and attended their service. But while I couldn’t stop, it was a bright spot in the morning. It was over 100 degrees for most of the weekend and J.D. had already played two games (albeit short games). In the picture, J.D. is the pitcher. 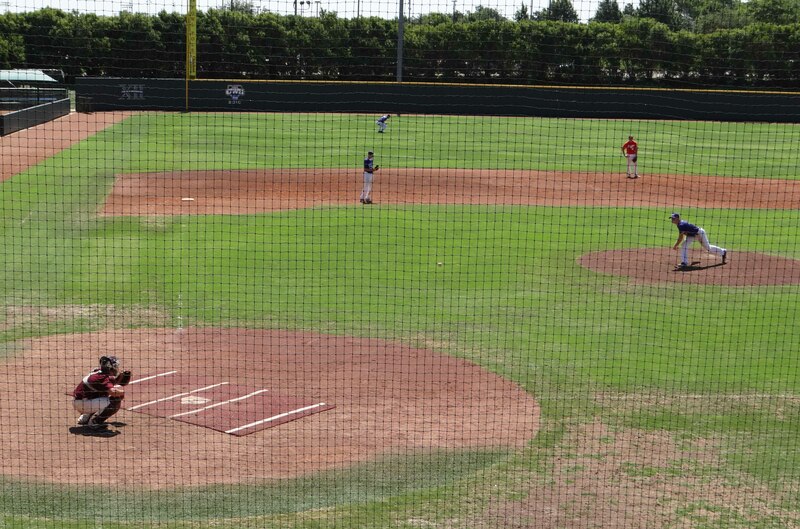 It was a showcase camp before coaches and recruiters from numerous colleges and some major league teams. It was a high intensity weekend, which made the smiles and the waves all the more important. When I saw them and realized it was a church, I said to J.D., “so simple, but effective. How cool is that?” I happen to be on the communications committee of our church. It was certainly a Jesus moment in which life is briefly in the background and God’s light shines like a beacon in the wilderness. One of those moments that reminds us that life may be tough at times, but something better awaits us.